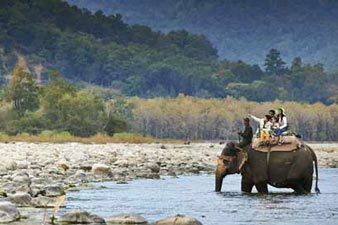 Welcome to Elephant Safari Booking in Jim Corbett National Park. For those people who would like to experience the wilderness of a national park at its best, the option to stay at an FRH inside the park is the best option. When the sound of various animals comes from the dense dark forest, nothing in this world compares with that feeling of joy mixed with fear. When you pick up your torch to have a look at your surroundings, you can sight lots of eyes glowing in the light of your torch from the outside of the Rest House's electrical fencing. Deers, Wild Boars and sometimes even Tigers can be seen and heard very close to the fencing of the Rest House. Visitors can book online Elephant Safari for different zones of Corbett National park namely Bijrani, Jhirna, Dhikala, Dhela, Durgadevi and Corbett Landscape. All the procedures of elephant Safari Booking at Corbett are managed by the forest officials as per the guidelines of India's forest department. Please note that we cannot influence the safari zone, safari driver and the naturalist guide as it is not in our hand. It is solely decided by the forest officials. Though all the zones have healthy population of tigers and wildlife sightings are reported more or less same. These all aspects are managed by the automated computerized system to ensure the equal distribution of safari vehicles in respective zones. perfect holiday can be described as one that is spent amidst nature which is filled with calmness and serenity. Relaxing oneself in such wonderful places can sure be a rejuvenating exercise for many stressed souls. Belief is that the stressed out nerves can be relaxed when quality time is spent close to wildlife. This is a very popular technique that is used by city birds to relax and rejuvenate. The Jim Corbett National Park is a wonderful location to get closer to nature and experience the calmness and comfort. Celebration of the most important gifts of nature can be best understood when the safaris are made use of at Corbett National Park to get closer to the flora and fauna. The Corbett National park elephant safari is incomparable to any other safari when it comes to adventure and excitement. The experience of touring the forest on the back of an elephant can add to the excitement of exploring the jungle. Corbett Park elephant safaris can help explore the rarest accessible wildlife zones of the Park. The rare and endangered species of the Jim Corbett Park can be looked into closely when one opts for the elephant safari. Such safaris give the advantage of being able to get a glimpse of areas like the rivers, scenic valleys, grasslands, thick forests and rugged trekking trails surrounding the thick wildlife boundary. 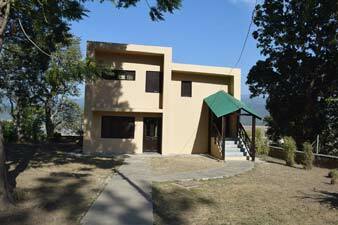 Corbett National Park offers you with the facilities of Jungle Safari. 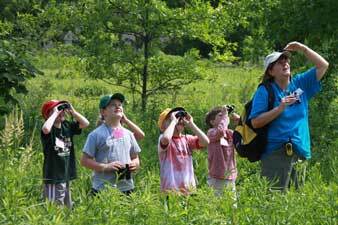 One can look for nature safari, to have bird watching and enjoying the precious nature. You can also have elephant safari through the jungles of Corbett and if lucky enough can even spot some tigers. If adventurous further or to have some memorable moments, can take up an Elephant safari, really amazing experience. Four Wheel Drive Open elephant Safaris to the BIJRANI - JHIRNA - DURGADEVI - CORBETT LANDSCAPE - ALL DAY VISIT ZONES of Corbett Tiger Reserve offer the visitor a memorable experience to view Wildlife & Avi Fauna in its unspoilT natural habitat. With our fleet of the latest Gypsys all vehicles have operational 4 Wheel Drive as per the Corbett National Park pollution norms policy. These open top off road vehicles are best suited for the rugged terrain of Corbett National Park with our professional & experienced wildlife trained drivers and the knowledgeable Park Nature Guides, who accompany you for these Trips are well versed with day to day changes of wildlife movement, ensure that your elephant Safari experience is beyond what you have imagined. We request the visitor to undertake our elephant safaris with an open mind, enjoy and appreciate everything that comes your way - the jigsaw puzzle will fall in place - if you are destined to see a Tiger - you will !! Enjoy, Explore, have fun, be amazed...on our Jungle elephant Safaris !! 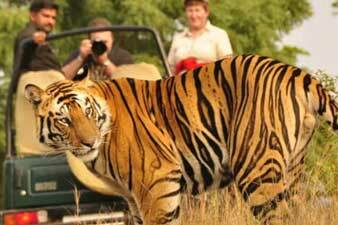 Corbett National Park offers you with the facilities of Jungle Safari. 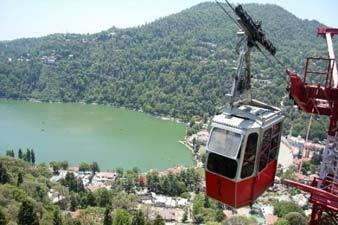 One can look for nature safari, to have bird watching and enjoying the precious nature. You can also have elephant safari through the jungles of Corbett and if lucky enough can even spot some tigers. If adventurous further or to have some memorable moments, can take up an Elephant safari, really amazing experience. 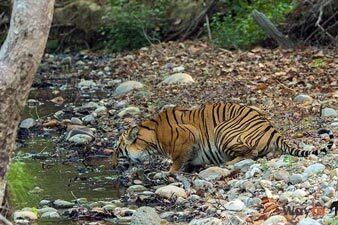 As the entire periphery of the Jim Corbett National Park falls under restricted and protected area, so official permission is required to visit the core area of the tiger territory. There are two kinds of official permits issued by the government for entering into any safari zone of the park. 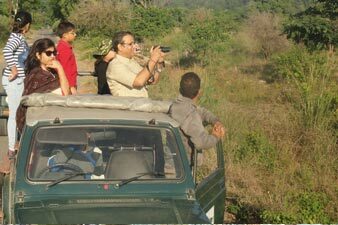 Day visit permit (for Elephant/canter safari) and Permits for night stay inside the Government forest lodges The day visit permits are required by Indian nationals as well as foreigners for entering into any tourism zone in Corbett National Park. Accommodation inside the park is possible after obtaining night stay permit that are issued by issuing authorities of Government officials.